A 42-year-old man suspected of killing four members of his family, including his three children, has been arrested at a large hospital in Daejeon, police said Monday. 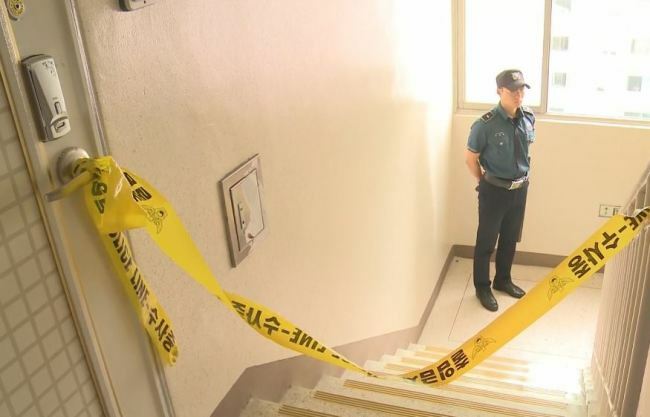 According to Okcheon Police Station, the 42-year-old man is accused of murdering his 39-year-old wife and three daughters -- aged 10, 9 and 7 -- at their apartment in Okcheon County, North Chungcheong Province, Saturday. Dispatched authorities reportedly discovered the victims’ bodies in their separate rooms with foam coming out of their mouths at around 2 p.m. Saturday. The man was found bleeding following an apparent suicide attempt, police said. There were no apparent signs of external trauma to the victims, according to authorities. Investigators, however, did find sleeping pills along with a pharmacy prescription bag near the bodies. As he was rushed to the hospital, the man told emergency medical staff he wanted to kill himself after murdering his family due to “overwhelming debt.” He again confessed to police following hospital treatment. During the course of investigation, police discovered the man had acquired the sleeping pills at a pharmacy in Okcheon County prior to the murder. Police said they have requested the National Forensic Service conduct autopsies for all four victims and plan to ask the court to issue an arrest warrant for the suspect on charges of murder.